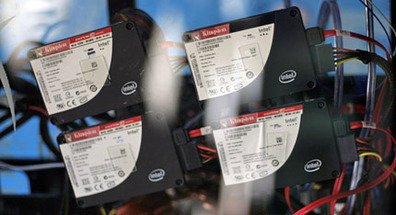 The Intel SATA ICH9R/10R/P55 controller under RAID-0 has a maximum real world performance capacity of about 600MB/s in total between it and the CPU. Despite the fact you'll need several (four+) SSDs to hit this limit at the moment, it's worth bearing in mind that to get ludicrous performance you'll need at least a PCI-Express x8 card. Until Intel increases its DMI and/or SATA controller bandwidth, this could prove a more regular limiting issue when future SATA 6Gbps parts arrive. Oh drat, my four X25-Es are bus limited! Those of you with Intel controllers like above will benefit about 10-20 per cent from setting ACHI to enabled and installing the Intel Matrix Storage driver within the OS. The Windows driver does most of the performance so on AMD systems ACHI yields no significant advantage. Dont use the last 10-20 per cent of a partition and it can prevent performance from tailing off heavily. This is particularly important when TRIM is being used because it needs space to rearrange the data: think of how Defrag tools refuse to work when there's less than 10 per cent drive space available. 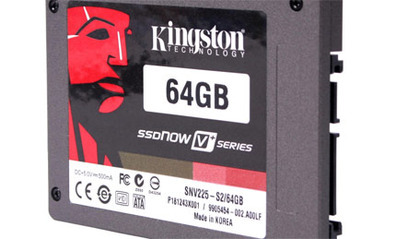 Because of the limited size of SSDs the likelihood they will fill is much greater so be aware of this factor. However we must note that some drives like OCZ's Vertex/Apex series are 8GB smaller for this reason as well as wear prevention. New IO scheduler boosts performance.